Memorial dedicated to the Jewish victims of the “Kladovo transport” was unveiled in Kfar Saba On February 1, 2019. Deputy mayor of Kfar Saba Mr. Amir Coleman, Ambassador of Serbia H.E. Mr. Milutin Stanojevic, Ambassador of Austria H.E. 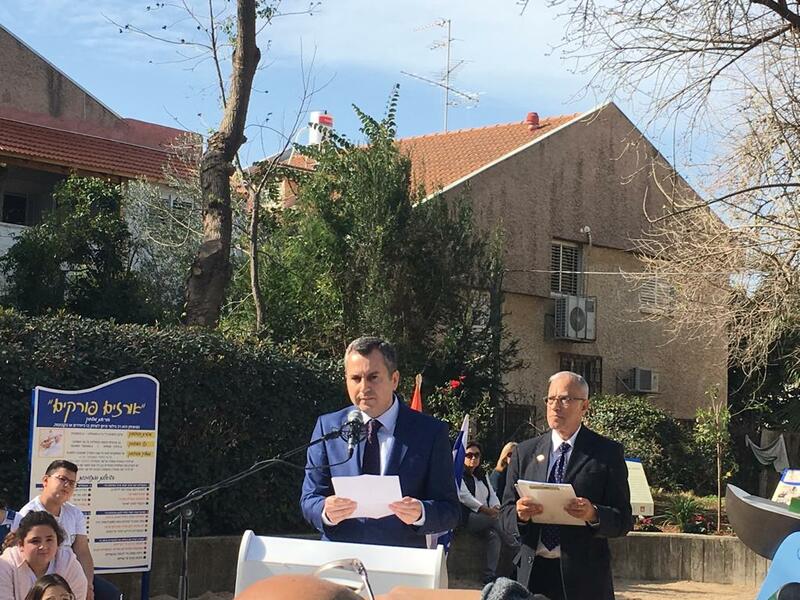 Mr. Martin Weiss, Director of “Ben Gurion” school Ms. Maya Ganon, and the representative of the Association “Kladovo Sabac” Mr. Ofer Rot, on behalf of the relatives and descendent of the survivors, addressed the audience at this event organized by the city of Kfar Saba. In his address H.E. Ambassador Milutin Stanojevic stressed the importance of preserving the memory of this tragedy in which most of the 1,200 Jewish refugees were killed, as well as the memory of all the murdered Serbs, Jews and Roma during the German occupation of Serbia in the II World War. 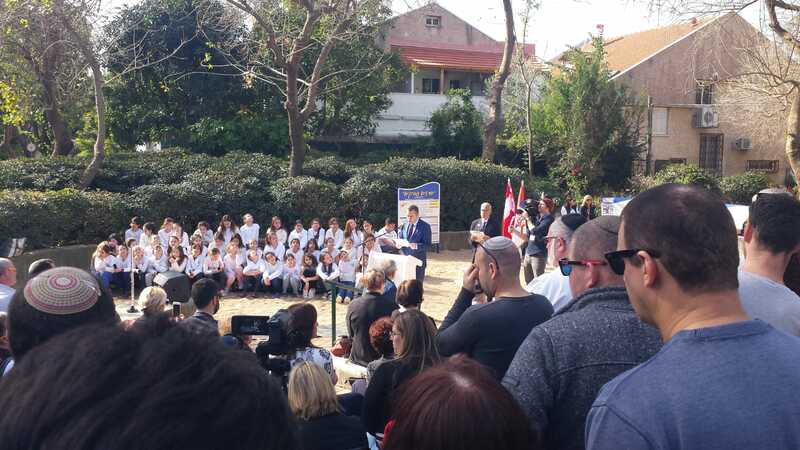 In this regard, he praised the activities organized to that end, in previous years, by the city of Kfar Saba and its residents, and especially the activities of “Ben Gurion” school its teachers, pupils and parents. He emphasized that each year in Serbia commemorative events take place on the memorial sites dedicated to “Kladovo transport”, in Beolgrade, Sabac, nearby Zasavica and Pancevo. Also, he informed about the “Seminars on Jewish families” that are held each May in Kladovo, and are dedicated to the preservation of the memory of the victims of the convoy. Ambassador stressed he feels proud of the then residents of Kladovo and Sabac, who did all that was in their power, under the circumstances, to ease the struggle of the Jews and save them. He underlined the importance of the memory of the Holocaust and educating the young generations about it, because it is the only way of preventing it from ever happening again.